Written by Jim Starlin. Art and cover by Alan Davis and Mark Farmer. 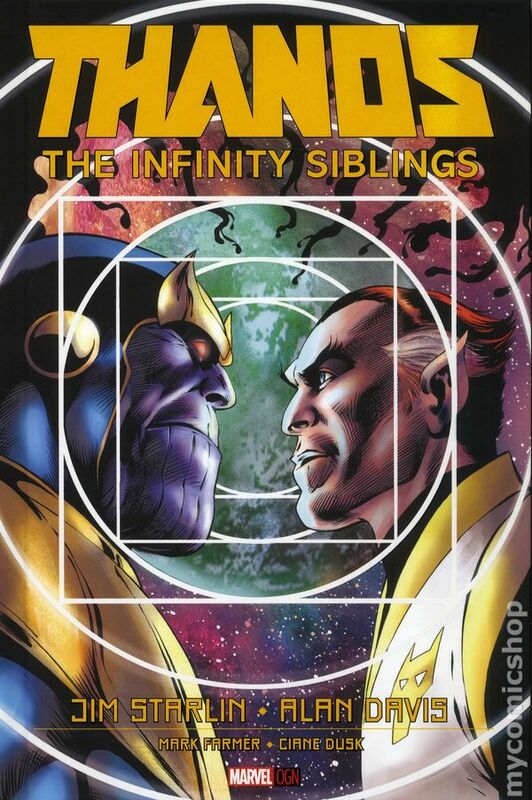 Jim Starlin and Alan Davis return in the first volume of a new trilogy! 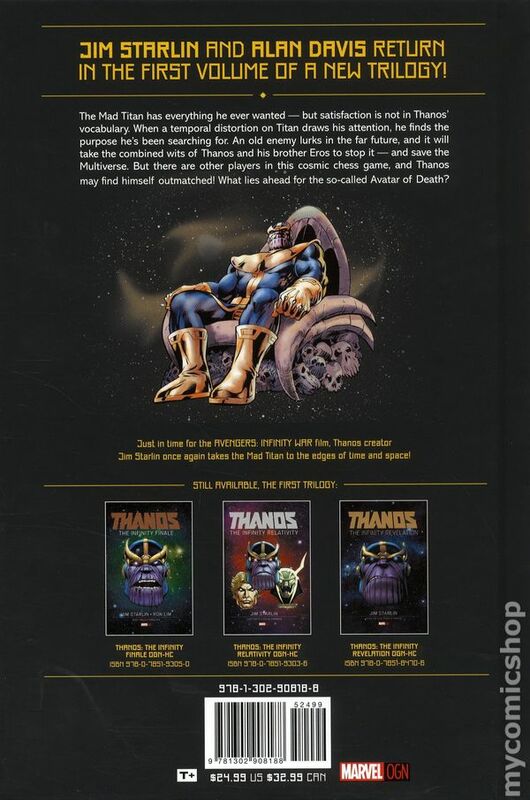 The Mad Titan has everything he ever wanted - but satisfaction is not in Thanos' vocabulary. When a temporal distortion on Titan draws his attention, he finds the purpose he's been searching for: saving himself! An old enemy lurks in the far future, and it will take the combined wits of Thanos, his brother Eros and time-travel master Kang the Conqueror to stop it - and save the Multiverse. But, there are other players in this cosmic chess game - and Thanos may find himself outmatched! What lies ahead for the so-called Avatar of Death?